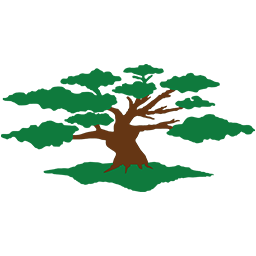 The National Society Daughters of the American Revolution (DAR) is pleased to announce a new added feature to its Genealogical Research System (GRS). This newSupporting Documents feature allows users to purchase documents that were submitted with previously verified DAR membership and supplemental applications. These documents may include family bible records, deeds, wills and other various materials used to prove lineage to a patriot of the American Revolution. The Supporting Documents made available on the GRS may prove to be very helpful to researchers who are looking for a missing piece in their genealogy search. For example, if a researcher is having difficulties connecting two generations or finding proof of an ancestor’s military service, the needed documents could possibly be included in the supporting documentation submitted for a common ancestor. 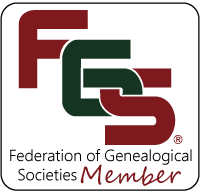 The GRS is a free resource provided by the DAR to aid general genealogical research and to assist with the DAR membership process. The GRS is a collection of databases that provide access to the many materials amassed by the DAR since its founding in 1890. GRS users have long been able to purchase Record Copies (previously verified DAR membership and supplemental applications), which show the lineage going back to the ancestor who contributed to the American Revolution, but before now the documents which were submitted to support the Record Copy were not available for purchase online. Now these supporting documents are available on demand for the user to purchase either in conjunction with a Record Copy or separate from the application with which it is associated. These Supporting Documents have been reviewed and indexed by DAR staff genealogists and DAR member volunteers. More Supporting Documents will become available as more are reviewed. Any documents that have not been thoroughly reviewed will not be available for purchase on the GRS. Record Copies and Supporting Documents are now part of the DAR Online Library Documents Service. This service allows researchers to select an application or Supporting Documents (if they are available), pay by credit card, and instantly download the document as an Adobe PDF document. It is important to note that any applications or vital records (birth, death, marriage, divorce or other sensitive documentation) that are less than 100 years old will not be available in an effort to keep personal information confidential.